Home » After Hours at K1 Racing! » After Hours at K1 Racing! After Hours at K1 Racing! 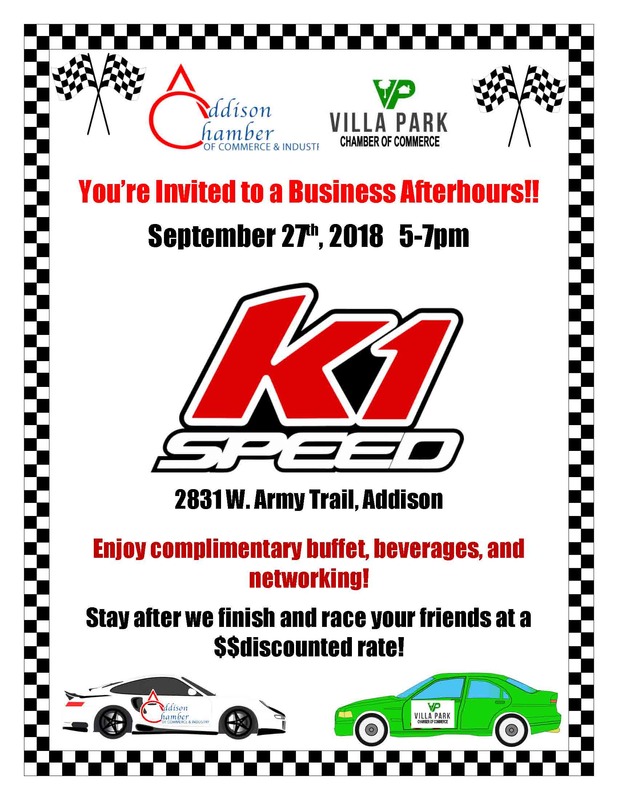 Join us for this Multi-Chamber After Hours with our friends and neighbors from Addison! Do some speed networking, enjoy buffet & beverages and Race your friends! Click on the flyer for a full view!